On January 22, FirstEnergy Corporation announced that its faulty and nearly-self-destructed Davis-Besse power reactor east of Toledo, Ohio, will be closed well before its license expires. But the shutdown is not because the reactor represents reckless endangerment of public health and safety. FirstEnergy was fine with that. No, the old rattle trap can’t cover its costs any more, not with the electricity market dominated by cheaper natural gas, and renewable wind and solar. Elsewhere in nuclear power’s long “goodbye,” California utility regulators decided this January 11 not to save Pacific Gas and Electric Co. (PG&E) from cheap gas, solar and wind, but to close the company’s two reactors at Diablo Canyon as early as 2020. Unlike the bribe-happy legislatures in New York and Illinois, nuclear power defenders were unable to convince California state law makers to fund a bailout of PG&E. 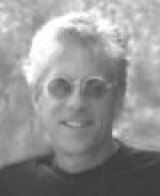 John LaForge is a Co-director of Nukewatch, a peace and environmental justice group in Wisconsin, and edits its newsletter. This article appeared on February 6 at Counterpunch.